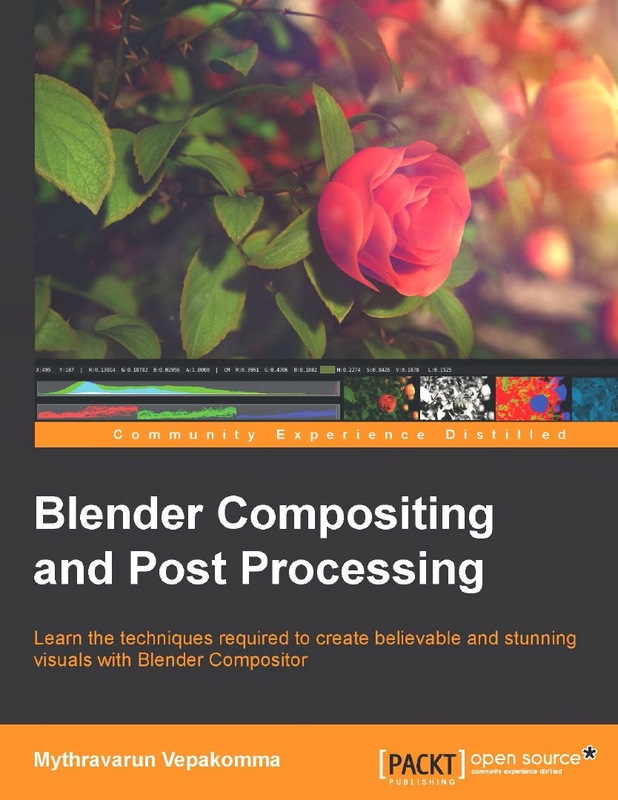 Blender Compositing and Post Processing it's a great e-book for begginner and intermediate Blender users who wants to have a better understanding of how Blender Compositor works. The book covers all the details of the technical part that an post processing artist needs to know, like image formats, color modes, color spaces, passing through all render passes and their functions, color management, etc. After explain all the structure to a better comprehension of the compositor and how it works, the book begin to covering a more pratical part, explaining image manipulation and grading techniques. It's a very didactic book, easy to read and easy to understand. Blender Compositing and PostProcessing link at Packt Publishing. I checked the example pages and found that the pages are in black and white!? Is that really the case and if so why would i buy it like its still 1990? Hi! No, the book is not black and white.